They grow up to 20 cm / 8 inches fully grown. 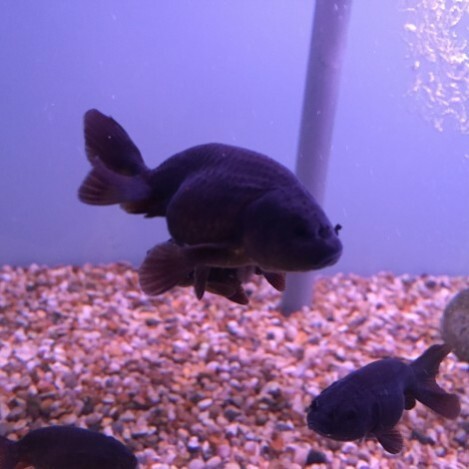 They live in water parameters of Ph range 6.5-7.5, and temperature of 18-24 Celsius / 65-75 °F. 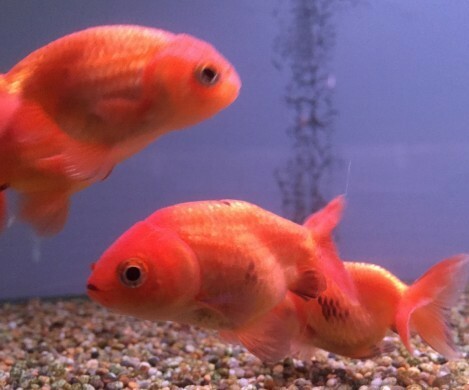 The ranchu is a hooded variety of the fancy goldfish developed in Japan. 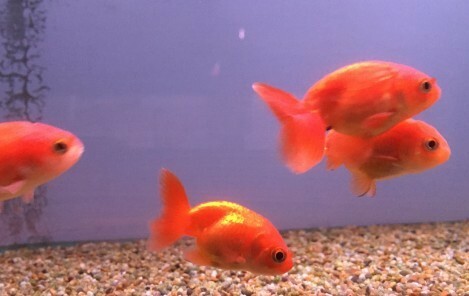 It is referred to as the ‘king of goldfish’ by the Japanese. They look a little like the lion head cold water fish but the ranchus have more of an arched back and have a much shorter tail. They are available in black, red, calico, and blue colours. They are a peaceful cold water fish, so mix well with other peaceful cold water fish the same sort of size. 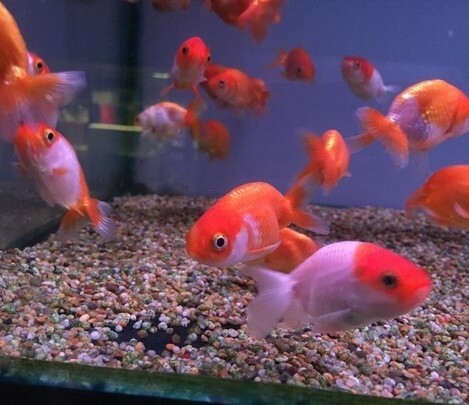 It is best to sink the food for the ranchu fish, as eating of the surface they can gulp in to much air and cause stomach bloat this will stress the fish out. They will eat flake, small pellets, or granular foods. Also a nice treat of freeze dried, frozen or live foods. 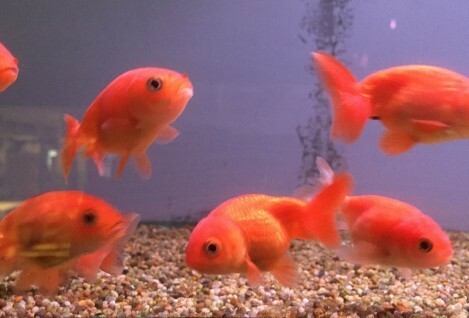 Ranchu fish enjoy flakes, pellets or granular food in there diet. They will also appreciate frozen or live food in there diets. We would recommend only feeding them once daily.